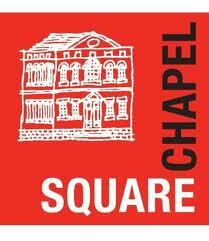 A new version of our award winning show, with the launch of our 1st Children's picture book. Granny Flo’s attic is full of old junk…or is it? 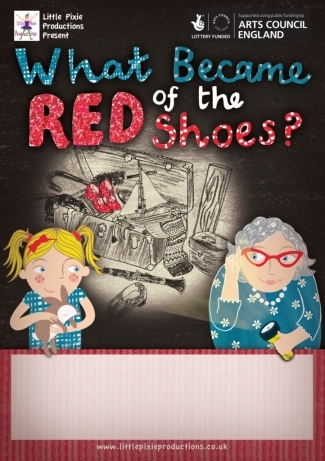 One rainy day her curious grand daughter Ruby explores it and discovers forgotten treasures, including an old grey photograph of a girl wearing a pair of shoes which are mysteriously...red! Her imagination is sparked and she embarks on a quest to find the red shoes. On her magical journey Ruby meets a pirate, some helpful animals, a grumpy snowman and even has a trip to space! 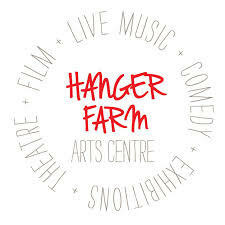 A one hour family show suitable for all ages 3+ featuring original music and dance. This new version of the brilliantly imaginative, award winning show is now also a beautiful children’s picture book written by Rebecca Little and illustrated by Hannah Lewis, on sale here. 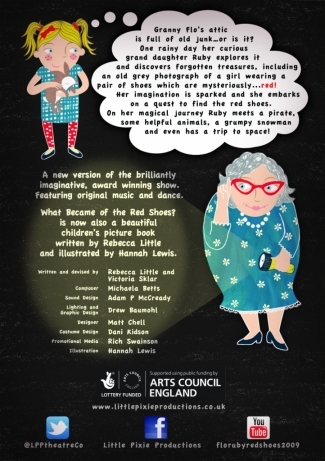 See where Granny Flo and Ruby's adventures take them in our sequel Turned Out Nice Again! 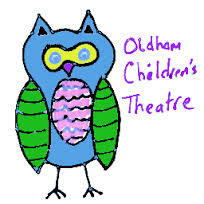 Original version - Winner of ‘Best Family Event’ Award at Buxton Festival Fringe 2009.